The 2016 Betway Premier League champion will be crowned in Thursday's Play-Offs at The O2 in London and Michael Van Gerwen will go head to head with Adrian Lewis in the first semifinal. Who will advance? Check out here our MICHAEL VAN GERWEN vs. ADRIAN LEWIS betting preview with match tips, free predictions, highest odds, betting bonuses and no deposit free bets! 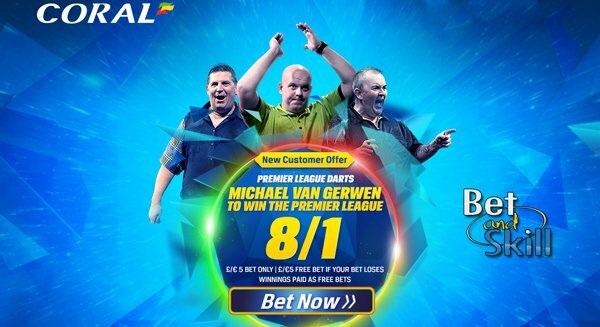 MICHAEL VAN GERWEN v ADRIAN LEWIS : Betting preview Michael Van Gerwen has been in sensational form so far in the Premier League, setting a new televised record average and embarking on a 15-match unbeaten run since the opening week of play back in early February. He enter the final night on the back of a 7-5 victory over rival Phil Taylor last Thursday in Rotterdam but were knocked out 6-2 by James Wade in the European Tour semi-final in Hamburg. Adrian Lewis gained his berth in the Premier League Darts final night beating PDC world champion Gary Anderson in Rotterdam last week. Anyway, the European Tour in Hamburg saw Adrian Lewis beaten by Jelle Klassen in an earlier stage of the competition. The 180s throwing of "Jackpot" has been non-existent in recent times. He didn’t throw any in his loss to Klaasen over the weekend and has only thrown three maximums in his last five Premier League matches – an average of less than one a match! 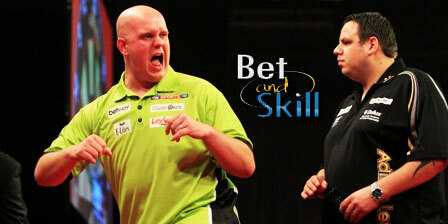 MVG has won all of the last five direct encounters with Adrian Lewis spanning back over a year. The two meetings in this year’s competition were won 7-5 and 7-4 by the Dutchman respectively. The last time Lewis defeated Van Gerwen was in the Premier League towards the end of the last campaign. Van Gerwen's tournament average is is almost 12 points superior to that of Lewis (96.5) and the Dutch sensation has hit 24 more maximums than his rival (62-34) up to this stage. "Van Gerwen v Adrian Lewis predictions, betting tips, odds and free bets (Premier League Darts semifinal - 19.5.2016)"